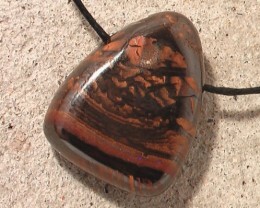 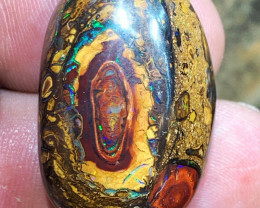 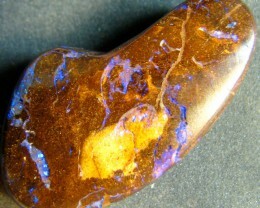 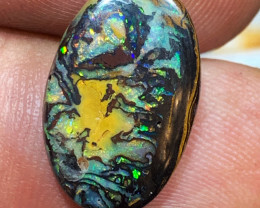 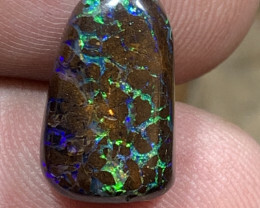 Stunning Koroit boulder opal. 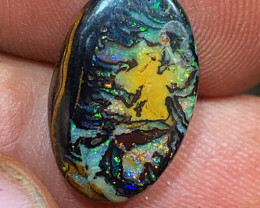 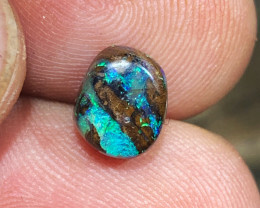 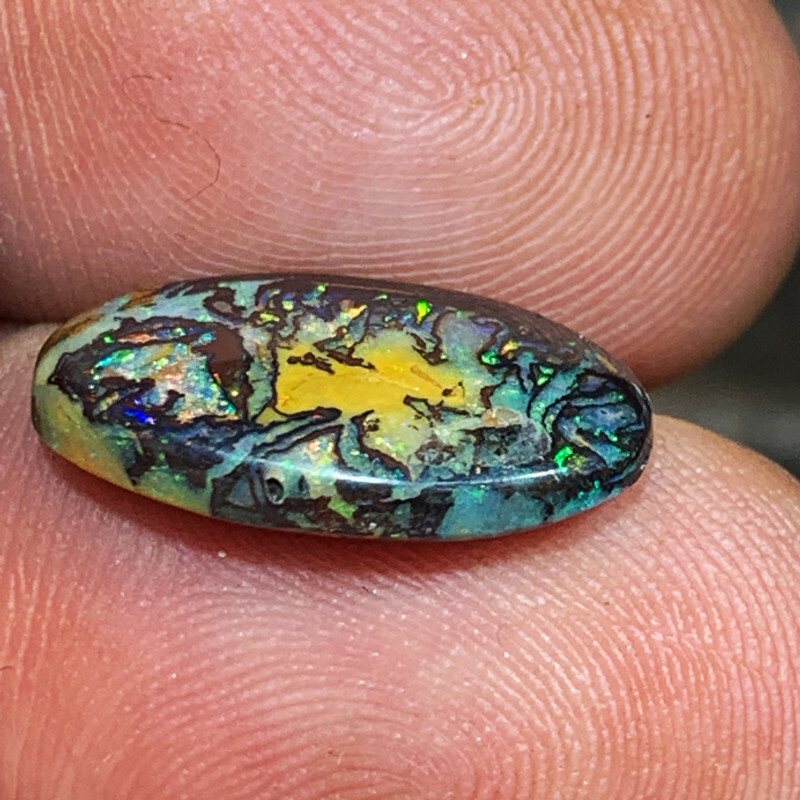 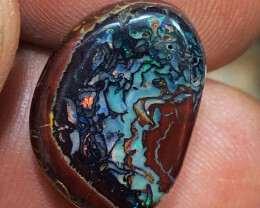 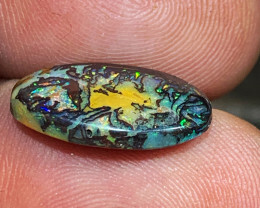 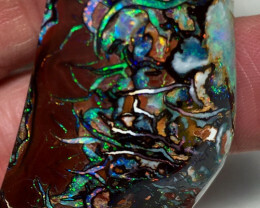 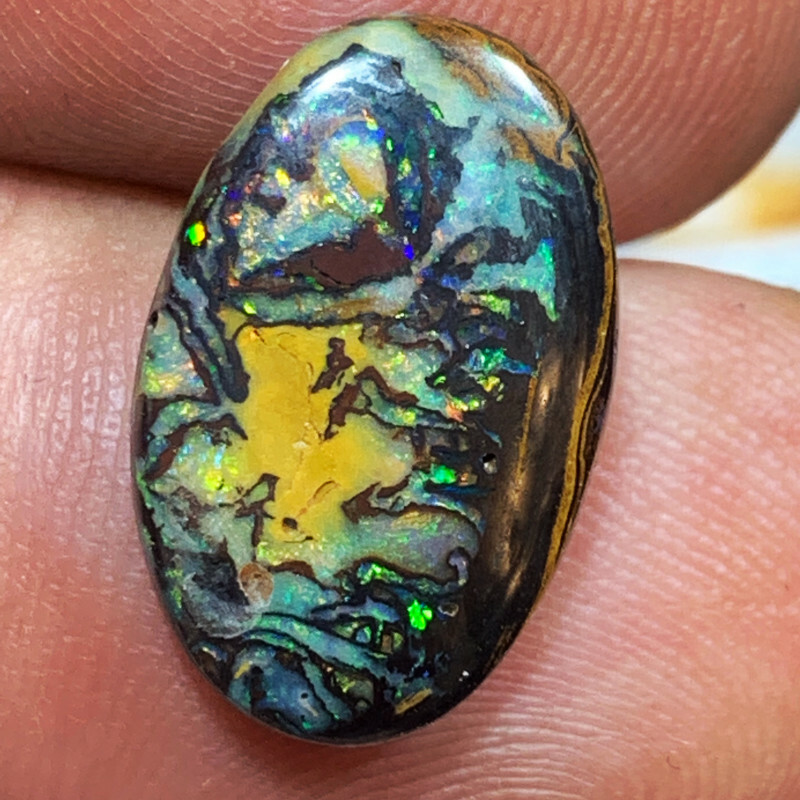 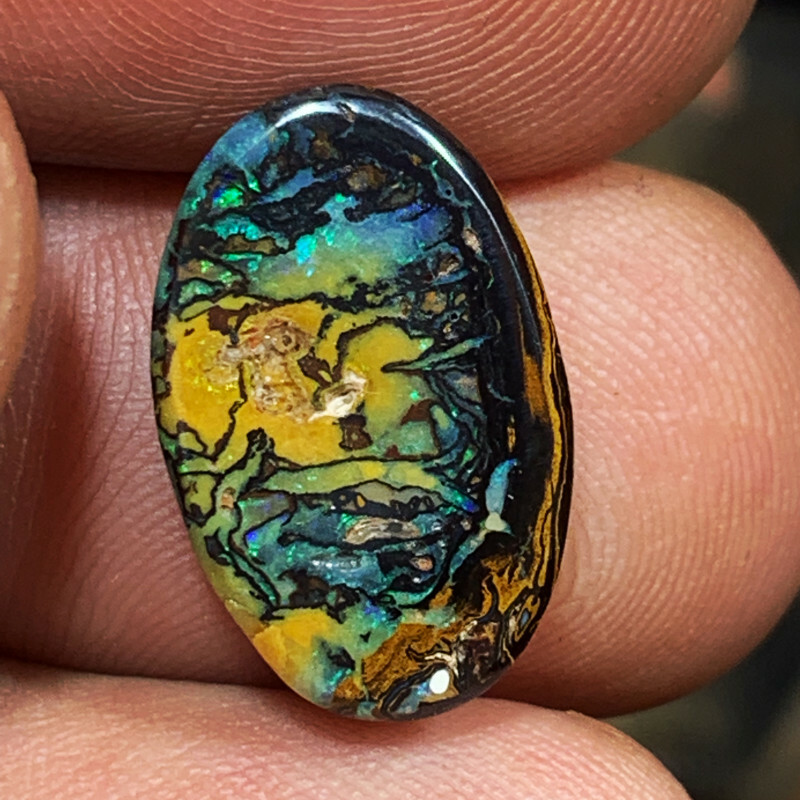 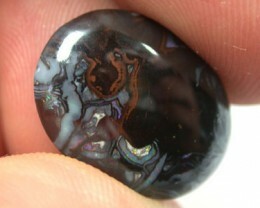 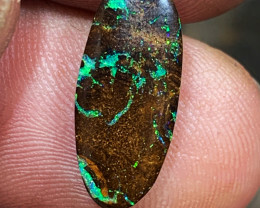 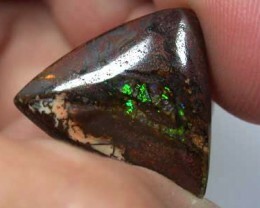 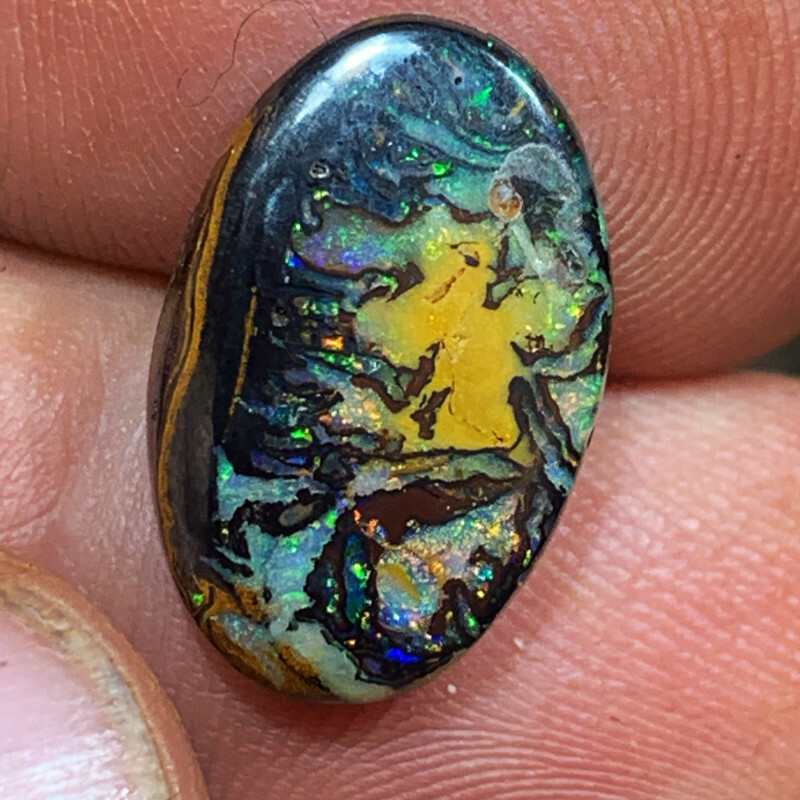 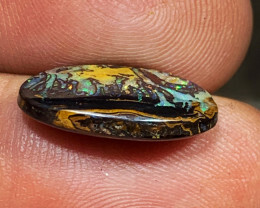 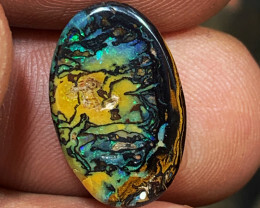 Beautiful nut pattern with rainbow opal surrounding center. 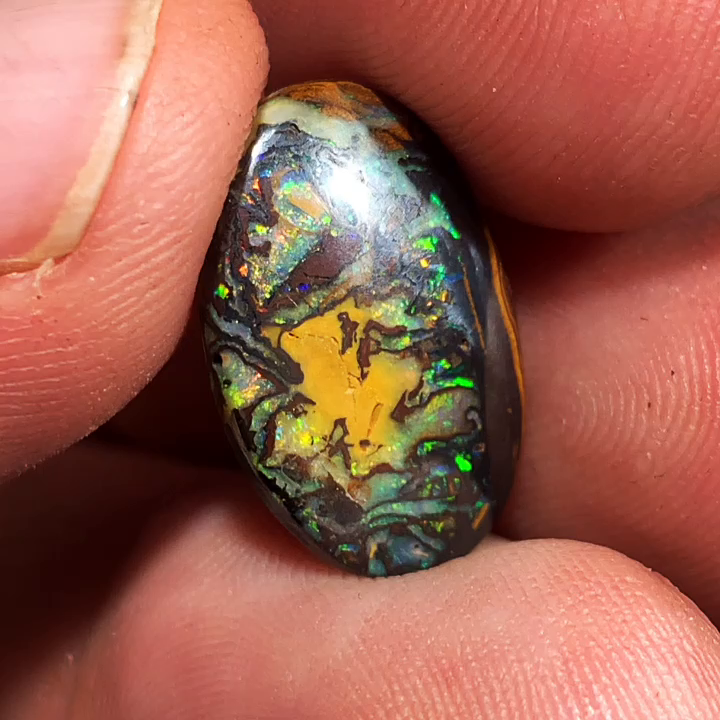 Polished all sides.